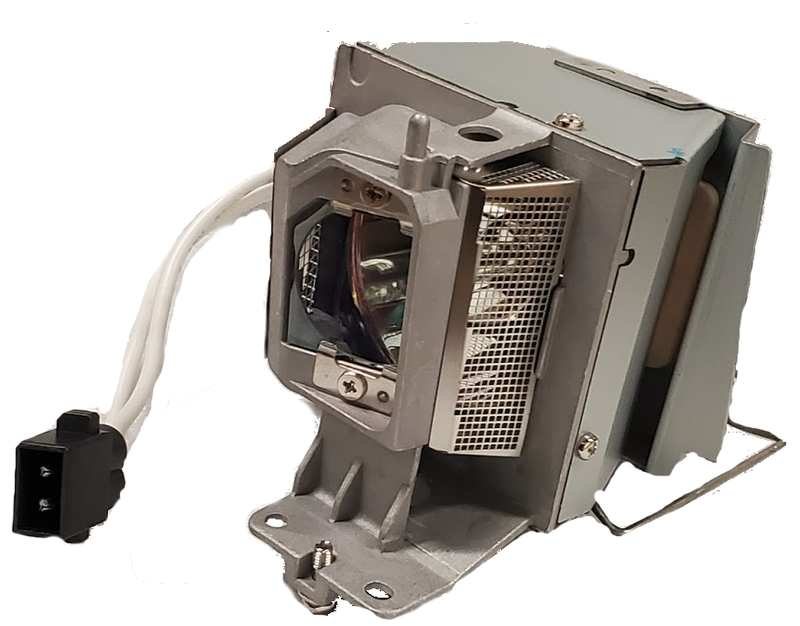 The EH416 Optoma projector lamp replacement comes with a genuine original 300 watt Philips UHP bulb inside rated at 4,200 lumens (brightness equal to the original Optoma lamp replacement). The EH416 lamp has a rated life of 3,000 hours (7,000 hours in Eco mode). This lamp has superior brightness and lamp life than other cheaper generic replacement lamps being sold elsewhere. Purchase with confidence from Pureland Supply with free ground shipping and a 180 day warranty. EH416 Optoma Projector Lamp Replacement. Projector Lamp Assembly with High Quality Genuine Original Philips UHP Bulb Inside. Great customer service on the phone - one of the only places to have the piece I neeed in stock. Very fast shipping, and the replacement lamp and assembly for my Optoma projector works perfectly. Very happy with the price, the service, and the product. Would buy from Pureland again!